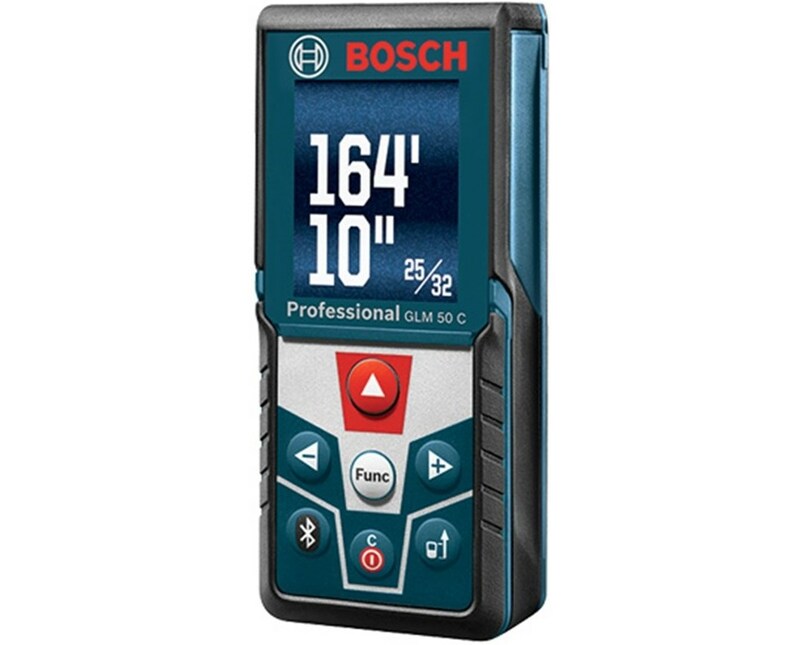 The Bosch GLM 50-C Laser Measure 0601072C10 is the new generation of laser measuring tool. 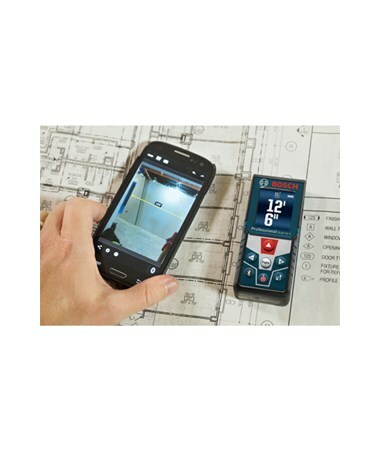 This laser meter is Bluetooth capable and functions with the free Bosch apps GLM measure&document (Android 2.2 or iOS 7.0 and up) and GLM Floor Plan (Android 4.0 or iOS 7.0 and up). 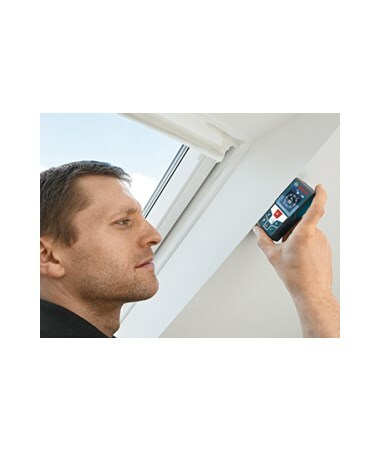 You can upload your measurements directly to your smartphone, computer or iPad, making plotting and calculations so much easier. The GLM 50-C features an improved, highly visible backlit LED display. No more squinting to see your readout! Numbers are large and easily readable. 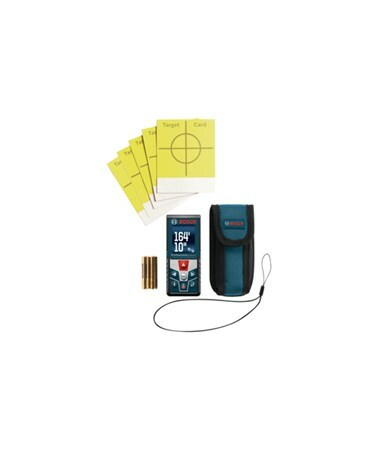 This laser measure is designed for your convenience, with an intuitive, easy-to-operate keyboard and a small size (7.00"L x 5.40"W x 2.25"H), just right for your pocket. It only weighs 0.22 lbs! An IP54 protection class means that this distance laser is dust and water resistant, suitable for outdoor and indoor use. It has an all-around soft grip surface that helps protect if from impact. In fact, this piece of equipment is drop-resistant to 3'. 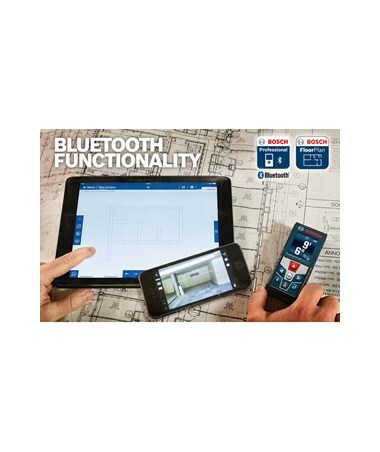 An automatic shut-off feature preserves battery life. It is powered by 2 “AAA” batteries (included). 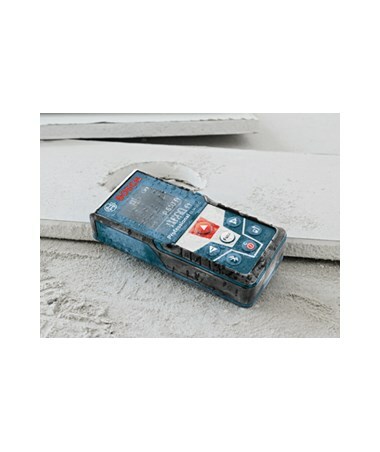 With the built-in inclinometer the GLM50-C laser can do advanced functions such as angles, min/max, stake out and double indirect. Basic functions such as length, area, volume, continuous and indirect height calculations are also supported. You can store up to 30 measurements in memory. 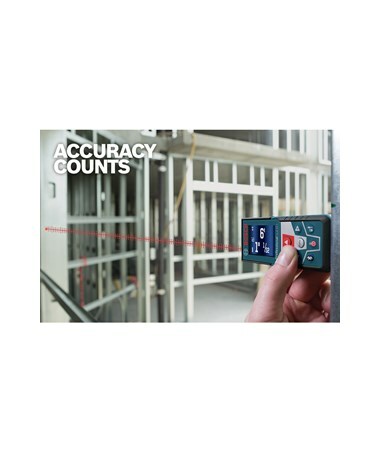 This laser measure has a range of 165' with an accuracy of ±1/16”. 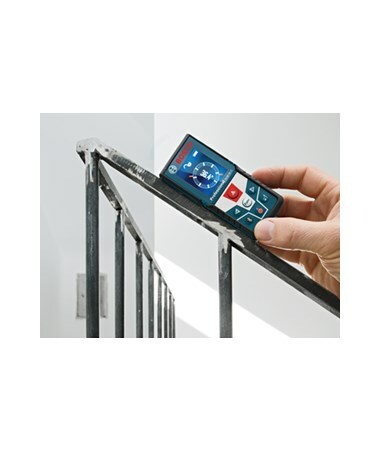 You have a choice of 3 reference points on the unit to select as start of your measurements. If you want greater stability, you can attach it to a tripod with its 1/4 x 20 thread. 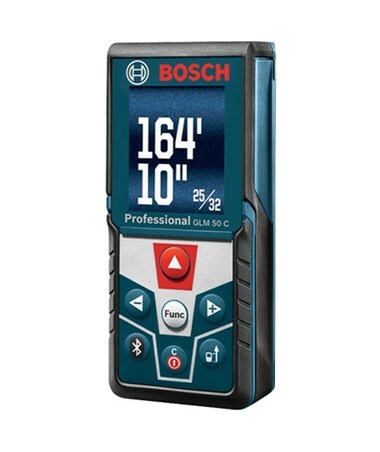 The Bosch GLM 50-C Laser Distance Measure comes with a 1 year manufacturer's warranty. (The warranty is extended to 2 years if you register your laser meter within 8 weeks of purchase.) It comes with a carrying pouch, hand strap, and target cards.